Kariyawasam Tirana Gamage Dhammika Prasad (born 30 May 1983 in Ragama) is a Sri Lankan cricketer. He is a right-arm fast-medium bowler. He has represented Sri Lanka in Test, One Day International (ODI) and Twenty20 cricket and played domestic cricket for the Sinhalese Sports Club and Basnahira North. 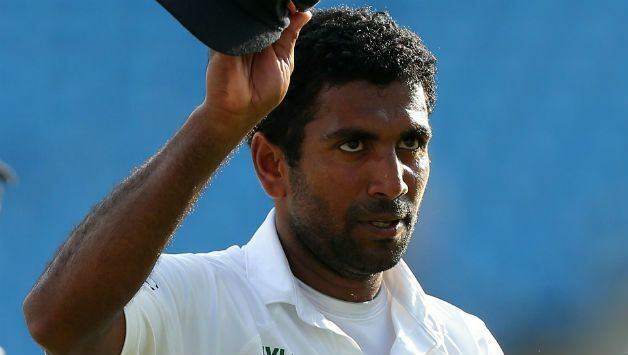 Prasad is renowned for the epic spell of bowling on the 4th day of the 2nd test between Sri Lanka and England at Headingley where he demolished the English top order. Prasad attended De Mazenod College in Kandana, where he started playing cricket as a top order batsman. He became a fast bowler in his late teens and played in the 2002 Under-19 World Cup. In February 2006, he was called up to Sri Lankas ODI and Test squads for a tour of Bangladesh after bowling at an average of less than 23 runs per wicket in domestic first class cricket. He made his ODI debut on the tour, taking 2/29 in a 78-run win over Bangladesh in Chittagong. Prasads international career was subsequently affected by a back injury. He had to wait until August 2008 to make his Test debut, taking five wickets over both innings of the third Test of Indias tour of Sri Lanka, including those of Sachin Tendulkar, who Prasad said was his favourite player, Rahul Dravid, and Virender Sehwag. He played Test cricket sporadically over the following seasons. He took four wickets in the first Test of Sri Lankas tour of Bangladesh in December 2008, but was dropped for the second Test. In 2009, he played in the second Test of Sri Lankas home series against New Zealand and the first Test of Sri Lankas tour of India, in which he injured his hamstring. In 2010, he played in one Test against India and another against the West Indies, failing to take any wickets on either occasion.